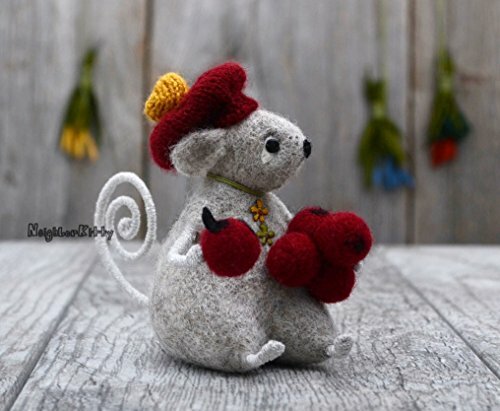 Needle felted Mouse with berries. Ready to ship. I felt my items "firm", which takes much more time and wool than "soft", gives them better quality and makes them more durable. You are sure to enjoy my felted items for years to come. Made of pure wool. Miniature is 4" (10 cm) tall. This is a collectible toy, it is not intended for small children. Made in smoke free home. Please read my shop policies before checking out. Thank you for stopping by! If you have any questions about this product by NeighborKitty, contact us by completing and submitting the form below. If you are looking for a specif part number, please include it with your message.